Interested in our MA in Anglo-German Cultural Relations? Apply now. The Centre for Anglo-German Cultural Relations (CAGCR) was inaugurated on 1 December 2005 by the German Ambassador, Thomas Matussek. The guest of honour for this occasion was Dr Paul Oestreicher, the Dean of Coventry Cathedral and initiator of the Dresden Trust. The CAGCR was established in order to promote the study of cultural transfers and interrelations between Britain and the German speaking world (including Austria and the German speaking parts of Switzerland). The facilitation of innovative on Anglo-German cultural relations with special reference to the fields of literature, language, intellectual history and comparative cultural practice, to be published in the Centre's refereed Yearbook, ANGERMION. The provision of high quality on Anglo-German cultural relations through an MA programme and through PhD supervision. Outreach to the academic and general public through public lectures, colloquia and conferences on important Anglo-German themes and questions with a significant Anglo-German dimension. The BASF Lecture Series on Anglo-German Matters, 2018-19 concluded with Petra Rau's (University of East Anglia) lecture on 'You will finish this sentence': the German writer and the English reader. Please note that Mara Delius's (Die Welt) talk on 12 March 2019 is cancelled. Karl-Heinz Ott is an award-winning German author, dramatist, translator and musicologist. His literary works comprise novels, essays and plays. He subtly portrays the fragile worlds of middle-class people and includes casual references to current social problems. In his latest novel, Und jeden Morgen das Meer, Ott creates a calm atmosphere through his prosaic language and meticulous arrangement of details. It is impossible to determine whether the tranquillity he conveys is caused by contentment or resignation. The novel begins and ends by the sea in Wales. 62-year-old Sonja Bräuning faces the sea each morning after her husband’s suicide three years ago. Bruno Bräuning had started to drink after having lost his Michelin star for the restaurant and hotel he inherited by Lake Constance, where even heads of states dined. Bruno’s brother takes over the restaurant with its debts and urges Sonja, who had been living and working on the estate for over 30 years, to leave. In her dreams Sonja is haunted by her loveless past full of duties and constraints. While reflecting on her dreams, identity and remaining chances in life she walks to a sometimes calm sometimes rough sea awaiting her. The reading will be in German. All are welcome! Feel free to bring interested guests. The extended area around Lake Constance/Bodensee, encompassing the Vierländereck of the surrounding parts of Austria, Germany, Switzerland and Liechtenstein, has long been perceived as a transnational cultural and economic space. 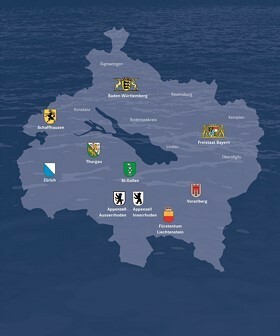 It defines itself as such in the International Bodensee Konferenz, and is promoted as an inter-regional area by the European Union. The conference will focus on writers from the 19th century to the present who have either resided in the wider area, and/or have depicted it in their work: Annette von Droste-Hülshoff, Jacob Picard, Hermann Hesse, Franz Michael Felder, Martin Walser, Michael Köhlmeier, Arno Geiger, Verena Roßbacher, Alissa Walser, Peter Stamm, Ursula Krechel, W.G. Sebald, Jacob Picard, Thomas Hürlimann, Karl-Heinz Ott and others. This event will take stock of literary traditions and recent developments as well as enabling new views on the question of trans/national literatures. The programme includes readings by Verena Roßbacher and Alissa Walser on 8 May, and by Arno Camenisch on 9 May. Conference organisers: Andrea Capovilla (Ingeborg Bachmann Centre, IMLR) and Rüdiger Görner(Centre for Anglo-German Cultural Relations, QMUL). For a detailed event programme and to register, please visit the Bodensee Konferenz website. 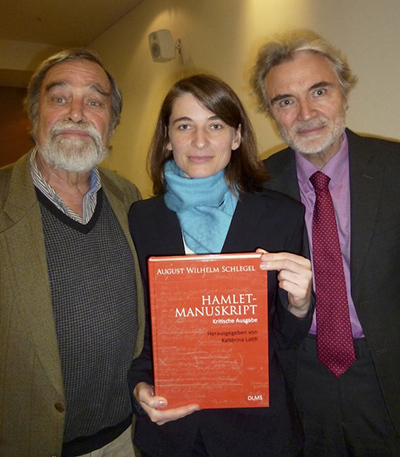 Globe Education together with the CAGCR hosted the launch event for the Centre's Visiting Research Fellow Dr. Kaltërina Latifi's critical edition of August Wilhelm Schlegel's translation manuscript of Shakespeare's Hamlet on 19th November 2018 on the premises of the London Globe Theatre. The occasion was marked by Professor Manfred Pfister of Freie Universität Berlin with a lecture on 'Hamlet in Germany' and Dr. Latifi with an instructive presentation of her edition. The next Writer-in-Residence of our Centre will be Karl-Heinz Ott. We will announce his Reading soon. Professor Rüdiger Görner talks about 'Neonationale Gebärden im heutigen Britannien' - Wieder einmal suggeriert der politisch jederzeit abrufbare Mythos: Wir gegen den Rest der Welt. Auf welchen Wurzeln basiert das Nationalgefühl der Briten? The Audio is in German, broadcast by SWR2 on 19th November 2017. Please click HERE to listen. The BASF (Ludwigshafen/Germany) bursaries for the MA in Anglo-German Cultural Relations for 2017/18 were awarded to Catherine Mason and Gesa Musiol. A Bursary from the Anglo-German Club in Hamburg is available for MA students in Anglo-German Cultural Relations. The CAGCR congratulates Ms Richelle Whitehead, the 2016/17 recipient of a BASF MA Bursary on her award of the QMUL Draper's Company Prize 2017 for her outstanding results in the MA in Anglo-German Cultural Relations. • “Shakspeare’s Hamlet”, critical edition of A. W. Schlegel’s Hamlet translation, including a diplomatic transcription of Schlegel’s draft manuscript (Dresden). This project is supported by the Suhrkamp Foundation, Berlin. • Hans Max von Aufseß, War Diaries, Channel Islands 1943– 1945, critical edition (assistant: Moritz Ruppe). This project is externally funded by an anonymous benefactor. Kaltërina Latifi (born 1984) studied Germanistik and philosophy at the University of Lausanne (BA), editorial philology and textual criticism at University of Heidelberg (MA), in 2015 she obtained her PhD in German philology at the University of Heidelberg with a thesis on E.T.A. Hoffmann’s poetics. Elected President of the E.T.A. Hoffmann Society for a three-year period 2017-19; as from 2017 co-editor of the E.T.A. Hoffmann yearbook. The Centre of Anglo-German Cultural Relations congratulates its Patron, Alfred Brendel KBE, on his ECHO-Klassik 2016 award for his life-time achievement as pianist and writer. 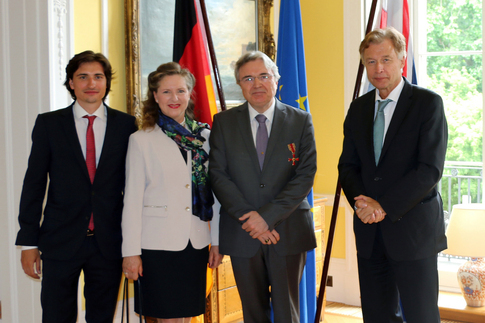 Many Congratulations to our Centre's Director, Professor Rüdiger Görner, who has been awarded the Cross of the Order of Merit of the Federal Republic of Germany by Germany's Ambassador Dr Peter Ammon. This is the highest tribute the Federal Republic of Germany can pay to individuals for services to the nation. 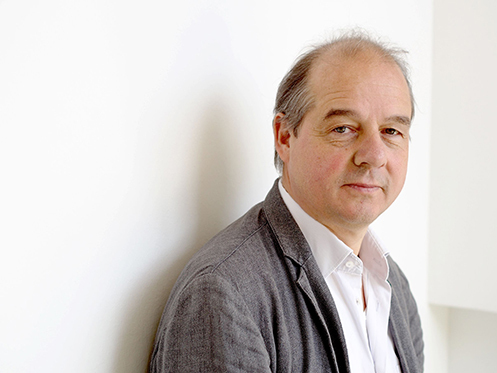 Professor Görner is an internationally renowned academic, author as well as literary and cultural critic who has been living in Britain since 1981. Ever since he has tirelessly committed to building bridges thorugh cultural engagement between Germany and the UK. Previously awarded the prestigious Reimar Lüst Prize from the Alexander von Humboldt Foundation (in 2015), Professor Görner has been described as "an indispensable champion of lasting German-British friendship," and an inspiration to the next generation of Anglo-German scholars.